As the storm moved east Thursday, at least three tornadoes were reported. A massive storm crippled the Plains with a powerful blizzard from Colorado to North Dakota, closing interstates and stranding drivers. 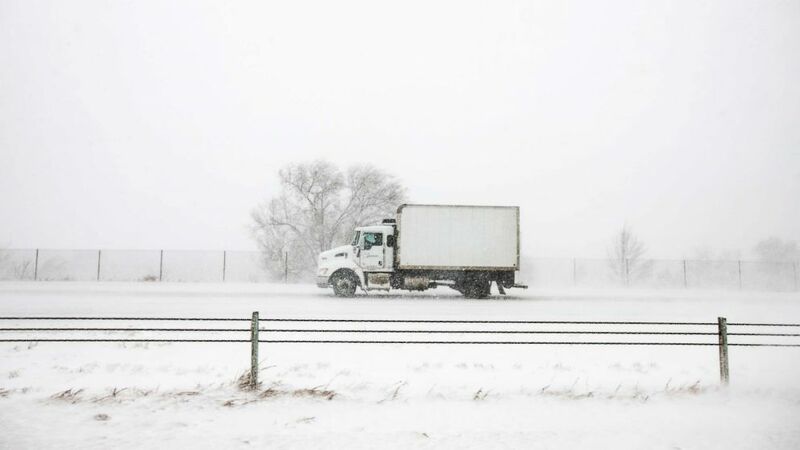 (Kelsey Brunner/The Gazette via AP) A truck drives north on I-25 during the snowstorm in Colorado Springs, Colo., March 13, 2019. 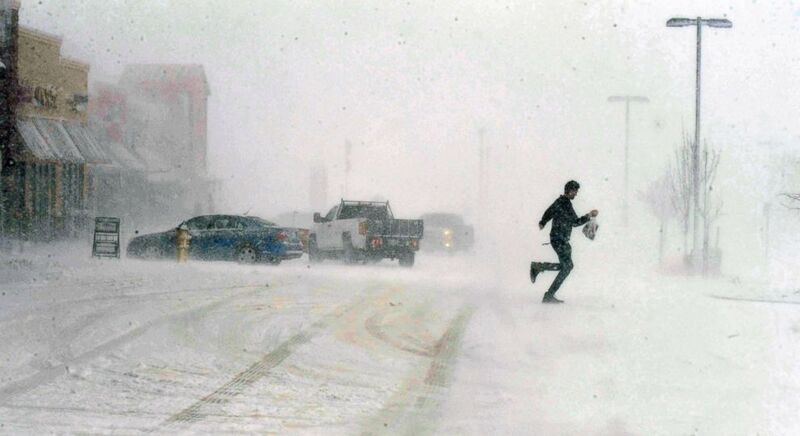 (Jerilee Bennett/The Gazette via AP) A man sprints to his car as he leaves the Sprouts grocery store on North Gate Blvd. in Colorado Springs, Colo., March 13, 2019.